On the way to finding the life that I wanted to live, I first hit rock bottom. 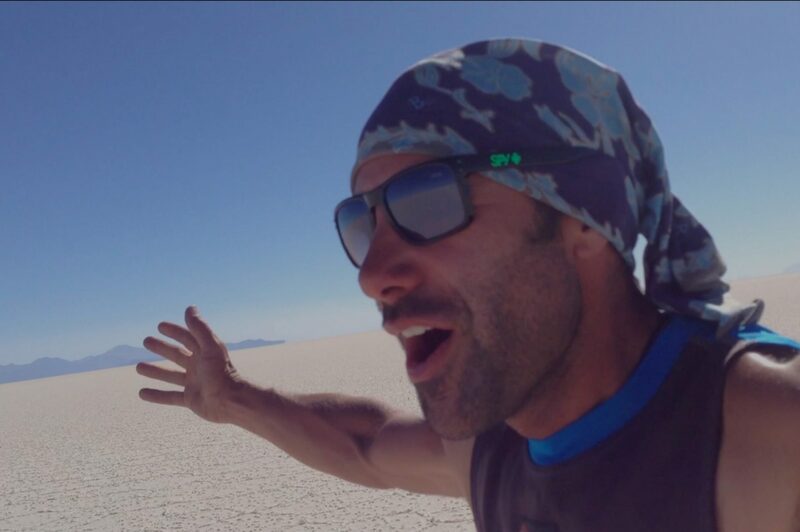 This week I share the personal journey that led to me cycling around the world, the lessons learned on that journey, and how that experience applies to breaking a world record. That summer, two friends and I took our own motorbike adventure across Iceland for a month. It was an introduction to a world unknown to me before, a world of National Geographic landscapes and a freedom to explore them however we chose. Thriving on the challenges of new languages and landscapes, this lifestyle brought me to life. It was the catalyst that changed my outlook; within a month of returning home, I cut ties with all the trappings of “success” and set out on the life of adventure that led me to cycling around the world. Previously, life had been governed by prescription and routine but on the road, where nobody could teach me what to do, I had to find my own answers. Discovering my own way gave me my life back, I had been doing everything to please others and suddenly I was pleasing myself. My route meandered, directed not by achievement but by my pursuit of happiness; a journey of self-discovery. Cycling around the world had begun as an egotistical pursuit, I believed I would be out there alone “one man against the mountains, jungles and deserts”, but accepting my vulnerability became my greatest strength. Turning to strangers for help, I shared the world I travelled through with those who lived in it, realising that it wasn’t a solo quest against the world, but rather, an adventure working with it. The more I experienced of the world, the more I discovered I wanted to do with my life. The emptiness that represented my future in the counsellor’s chair became a rainbow of colours and opportunities in the saddle of the bike. My motivations for attempting the Guinness world record for The Fastest Cycle Across Europe remain the same as for cycling around the world, it’s a continuation of my journey of self-discovery. This is my opportunity to take all the lessons I learned in the “dream world” of travel and to test them in the “real world”, pushing myself to another level. We are all athletes trying to break our own world record, each person has a different target but we all need to use the same tools to reach it. Attempting this record not only presents an opportunity for me to continue my own self-discovery, but to raise awareness of mental health issues in the hope that others won’t end up in the same situation as I did. Throughout the preparation and the attempt, I will be bringing you weekly behind the scenes videos and blogs, documenting what it takes to prepare for a world record. Next week, the team nutritionist explains the dietary requirements through the preparation phase in order to deliver me to the start line in peak condition.